People find different crazy hobbies, despite the age. You never know what incites a person in what age. But you might have seen old age people with hobbies like knitting or gardening. 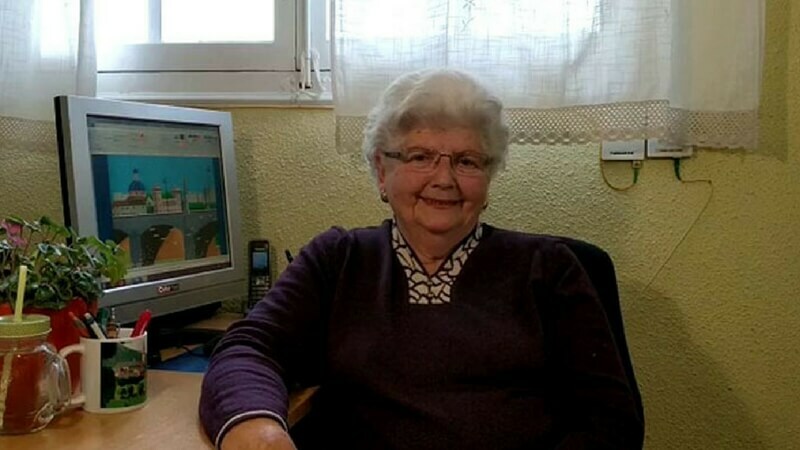 But this lady has amazed the world with her MS Paint skills in the age of 87 years. Meet Kauka Garcia Jaira an elderly woman who has strewn the world with her weird and beautiful Hobby. She uses such great MS Paint skills that nobody thought would be possible. Even the developers around the world are stunned by her minute detailing skills. She tells her story how she came into this desktop painting she says “My husband was sick so I had to be at home taking care of him. We had an old desktop at home so whenever I was bored I used to spend time on it. One day I landed upon MS Paint. I liked it and I started using it every day. In the beginning, I used to draw simple stuff like birds, trees, mountains, and house. I tried different features in my paintings and As the time passed by I started making dense and Detailed pictures. I used to save them and show it to my kids. One day my son gave me an Idea to share this online. I wasn’t sure of how the audience will react. We made an account on Instagram and started posting my paintings online. They went Viral overnight and people went crazy. Well, the saying is true that If you want to learn something then Age doesn’t matters and this 87-year-old lady has proved it right! Some old people are really an inspiration for the upcoming generations. If you love art, you surely check out these paintings by an Italian artist called Virgina Mori which will surely leave you amazed!